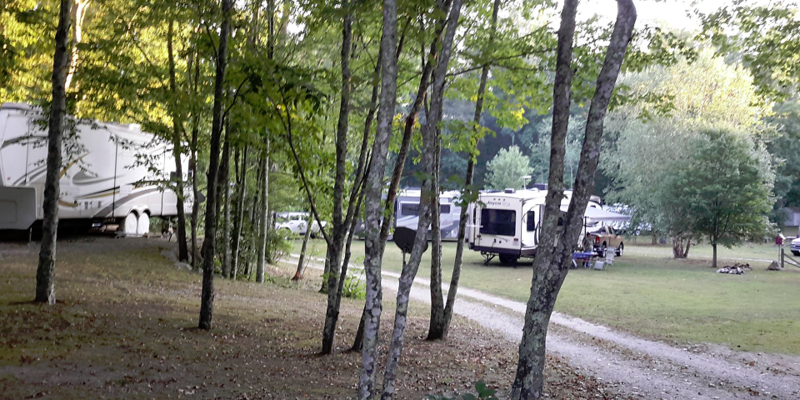 Countryside RV Park is one of the nicest, well maintained RV parks where my wife and I have stayed. There is plenty of room between neighbors and each site has a picnic table and a fire pit along with electric, water and sewer hookups. The WiFi signal is acceptable depending on your location within the park and TV reception is okay; however, if you are looking to get away from it all then this place is perfect. Amenities include a Gathering Room for games/videos, social events, full laundry facilities and free local attractions guides and list of area events. Thanks Jim and Linda for for providing a little paradise in this hectic fast paced world.